Follow the "get unstuck" writing exercise and learn other problem-solving exercises. DANIEL G. AMEN, MD, is a clinical neuroscientist, psychiatrist, and brain imaging expert who heads the world-renowned Amen Clinics. The Washington Post called Dr. Amen the most popular psychiatrist in America, and Sharecare named him the web's #1 most influential expert and advocate on mental health. 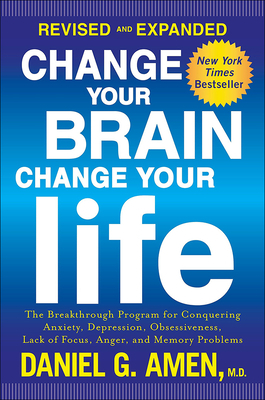 He is a distinguished fellow of the American Psychiatric Association and a nine-time "New York Times" bestselling author, including "Change Your Brain, Change Your Life," "Magnificent Mind at Any Age," and "Change Your Brain, Change Your Body." He is also an internationally recognized keynote speaker and the star of several very popular public television specials.